Non-interest bearing Government bonds and treasury securities fully refunded back after five years. St lucia is an eastern caribbean nation located on the south east coast of North America. The country recently enacted provisions in citizenship law starting from 2016, granting immediate citizenship to foreign investors who invest in real estate, business investment in the country. Saint Lucia is the only CIP in the Caribbean that offers citizenship against buying non-interest bearing Government bonds. Direct business investment ($3,500,000) on enterprise projects. In addition to the investment amount, additional fees are involved such as Government fee, due diligence fee, application fee, processing fee etc. The processing time is about 3 months. Saint Lucia National Economic Fund is a special fund established under Section 33 of the Citizenship by Investment Act for the sole purpose of receiving qualifying investments of cash for funding government sponsored projects. The Minister for Finance is required each financial year to gain approval from Parliament for allocation of funds for specified purposes. St Lucia’s Citizenship by investment program has option to purchase of non-interest-bearing Government bonds. These bonds must be registered and remain in the name of the applicant for a five (5) year holding period from the date of first issue and not attract a rate of interest. Government of Saint Lucia’s Bonds are issued under the National Savings and Development Bonds Act Ch.15.25 of 2005 of the Revised Laws of Saint Lucia. Satisfy a minimum qualifying investment for the purchase of non-interest bearing Government bonds. Keep Government bonds which have been purchased as a qualifying investment for a five year holding period. Once the transaction is complete, the applicant would be provided with a Bond Certificate within 21 calendar days. A certified copy of the Bond Certificate must be submitted to the Unit as proof of having made the qualifying investment. Upon receipt of the Bond Certificate, the Unit shall process the issuance of a Citizenship Certificate. Once approved, the real estate project becomes available for qualifying investments from applicants for citizenship by investment. The applicant is required to execute a binding purchase and sales agreement for an investment in an approved real estate project. 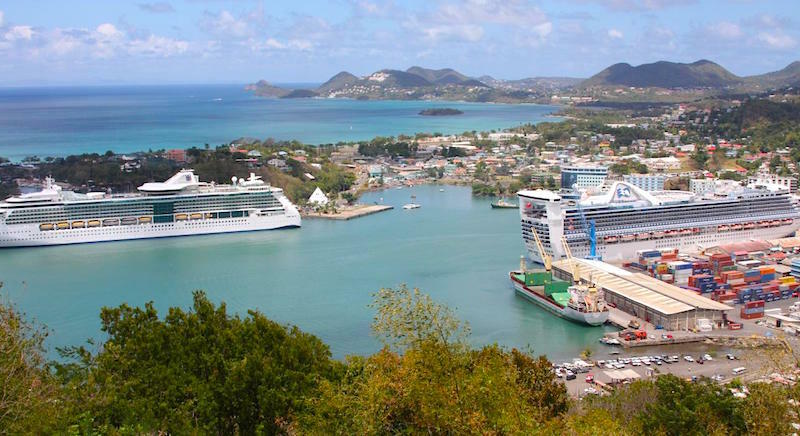 Investments, equalling the agreed purchase price, are deposited in an approved irrevocable escrow account managed jointly by the developer and the Citizenship by Investment Unit in Saint Lucia. Located in the picturesque village of Choiseul, in the southern-west part of Saint Lucia, it is at a close proximity to the International Airport and a range of tourist sites and activities. The extraordinary luxury resort is expected to be completed in 2021 and compromises of 93 rooms which will be located in the main building, 43 bungalows of 1 and 2 bedrooms and 40villas of up to 4 bedrooms. The resort will also be inclusive of other amenities such as spa and fitness centers, a marina for 30 boats, private helipad, underground parking with 100 spaces, 4 bars, 3 restaurants and in the heart of the complex guests and visitors will find a preserved mangrove forest. Fairmont hotel is an approved real estate development under citizenship by investment program. The applicant is required to execute a binding purchase and sales agreement for an investment of a minimum US $ 300,000 in shares in the already Government Approved Fairmont Saint Lucia Real Estate Project. The Government has not approved any enterprise projects under CIP as of today. St Lucia passport is ranked 31th best passport in the world, having visa free travel access to 146 countries (EU schengen, UK, Ireland etc) in 2018 according to Henley Passport Index.